What are you shooting ? 2" at 50 ? a 0.5 inch ... which is actually for center fires at 100 ... but works for me at 50 ... and more visible as it is solid black. And lastly there is the NRA 1.75 target with scored rings, says it is for small bore at 50 feet. When I was learning to play piano and guitar there were exercises I had to do to train muscles ... dot drills is similar ... it might not be fun ... but the results are !!! 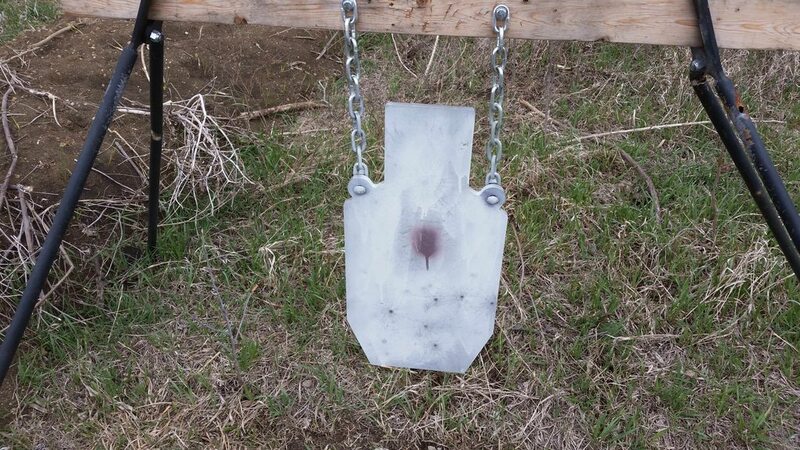 At 25yds on 8 power, I can see the holes in the dot drill targets and so get immediate feedback. But none of my real scopes are designed to remove parallax down to that short a distance. 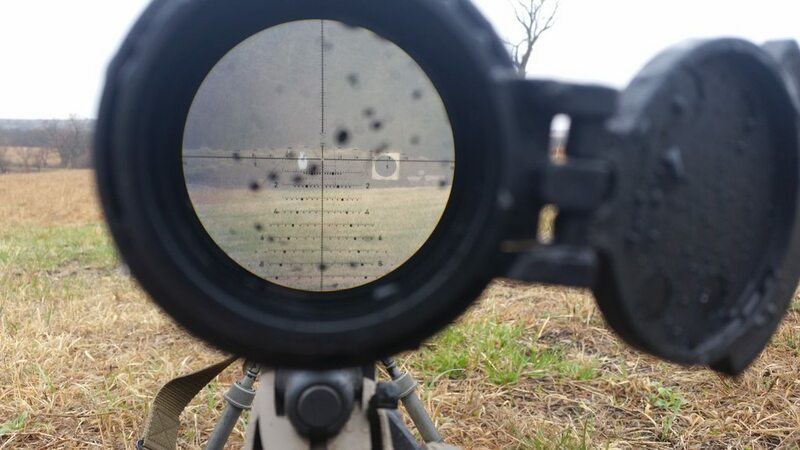 At 50yds, all/most of my scopes should focus and I should be able to see the holes. Hecque, I can see holes in paper at 500yds on white paper targets, so should be able to see at 50yds. At for .22LR the general practice is dot drills at 50yds and probably BECAUSE of the reason that real scopes won't focus closer in. To get to 50yds I need to move things around, I had a trailer parked where I would need to be to shoot at 50yds, I moved that trailer yesterday. So I can try 50yds today. And for steel to work for immediate feedback for dot drills, I'd need them to be TINY. And yes I heat steel for practicing with thermal at night. I also have a PVS-30 ... but the weather has been such lately that we've been overcast on the moon nights ... and moving the illuminators around takes time and they have to be zeroed etc. so haven't been able to use the PVS-30 for night dot drills yet. And I would't be able to see the holes in the paper and judge exactly where they are like I can in the day. Environment: Light snow, sold overcase, strong breeze from the NNW. Equipment: 5.56(18) xtr2 3-15x scr-mil, radius, harris 6-9 notch, spw556, 2x20rd mags with 5 rds each, 77gr smk black hills load. Kestrel 2500nv. manfrotto m190 322rc2, 4-wheeler. Pack with normal contents, water bladder (3L), first aid, rear bag, ammo, protein bars. 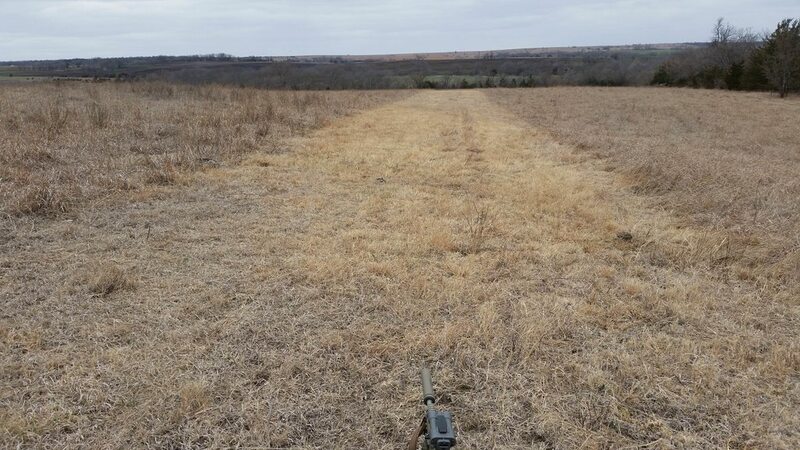 Activity: Roll up to area between 600-700yds, looking for a semi-flat place near the limit of where I can shoot prone. Found a spot higher up the hill than I'd used before and setup. Ranged 695 with the Radius. So, I'm going with the theory that the wind is funneling down the creek bed - which is a solid west-east feature at this point and hence close to directly across the bullet path - and so at the mid point of the bullet path, the bullet is about 60 feet above the main creek and the wind might be both higher in speed and more following the creek bed. One or both. So will continue to test this theory. 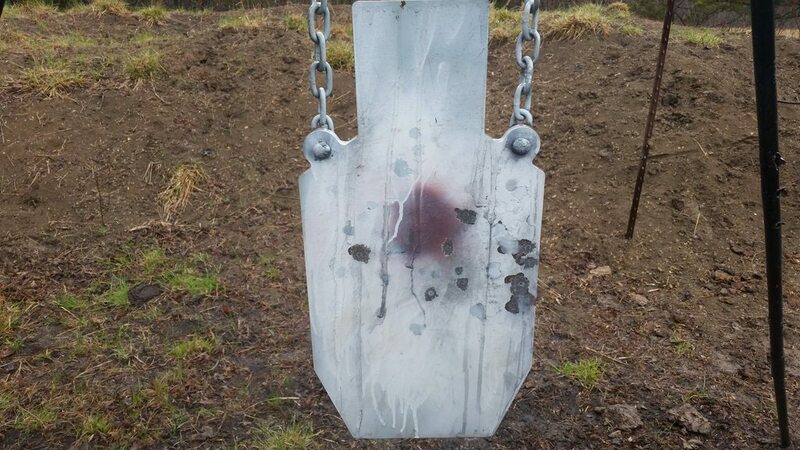 Note this is a different target and different firing point, different terrain than the 500yd FP. When you talk about cities that aren’t friendly to guns, Chicago is going to be one of the first few names you mention. While they no longer outright ban private ownership of firearms within the city, it’s only because the Supreme Court of the United States told them they couldn’t. They’re still not happy about it. Meanwhile, guns are still not particularly plentiful in the hands of the law-abiding in the Windy City. As a result, the city is a veritable war zone with more people being killed each year than in Iraq and Afghanistan combined. That doesn’t stop the city of Chicago from trying to pressure banks to cut ties with the firearm industry. Unfortunately for them, however, it isn’t working. Few places know the toll of gun violence as well as Chicago. But even the city that saw more than 2,700 shootings last year is finding out that using economic muscle to push Wall Street into enforcing gun control is easier said than done. If enacted, a financial institution couldn’t win or renew city contracts unless it “adopted a safe gun sales policy applicable to its retailer clients, partners or customers.” The result was a proposal that could have hampered Chicago’s ability to deposit or borrow money — especially given that the city already has a junk rating from Moody’s Investors Service, making it more difficult to float bonds. The fact is, the city isn’t a risk that makes it worth it to a lot of banks. I suspect more than a few banks look at the request and laugh, simply because they’re more willing to loan to Colt and Smith & Wesson than they are to a progressive city on the brink of financial collapse. I’m more than a little troubled by this tactic being employed. However, it’s funny how a baker who doesn’t want to make a cake for a wedding he feels goes against his religion should be forced to do business anyway, but an industry that provides tools necessary to fulfill a civil right is a different matter entirely. Hypocrisy is the hallmark of so many of our opponents it’s not even funny. Regardless, it doesn’t seem Chicago is gaining much headway with this plan of their’s, and that’s a good thing. It’s a hairbrained scheme even if they weren’t in financial trouble. 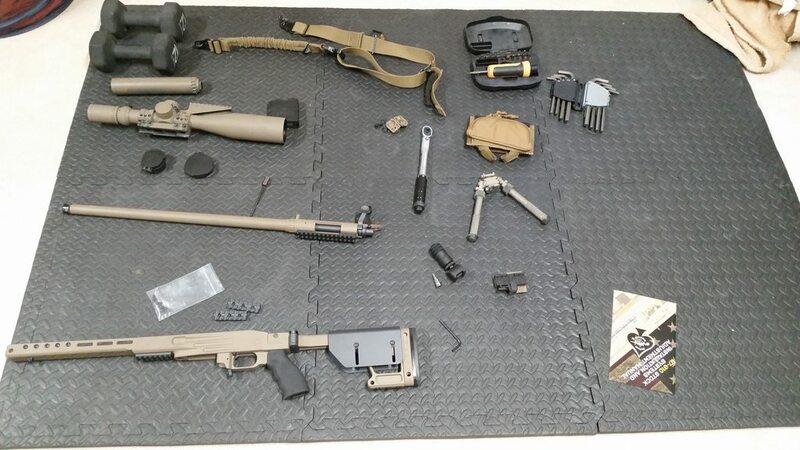 Equipment: 7.62(22), M118LR, NF 7-35x T3, Magneto Speed. Spent 20 rds zeroing and getting MV with Magneto speed. Worked fine in the rain. MV is 2652. 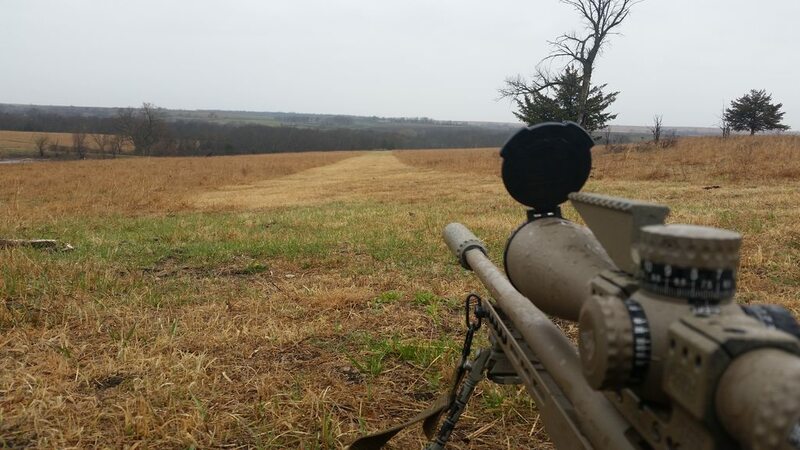 At 500yds, the rain was leaning 25 degrees from right to left using the interior angle from a horizontal in the sky. So 25/4 = 6.25, so I straddled the wind dots .. the 4 and the 8 with the 4 on the left side of the target and the 8 on the right side. Held 2.9 up. I could see the first splotch to the left of the bull. After that I saw some splotches to the right side of the target. BBut I kept straddling the 4 and 8 wind dots across the target and holding 2.9. Got 10/10 hits. First time in the new series of wind practice. The wind aspect of shooting in the rain doesn't seem so hard. The rain is a good wind meter. 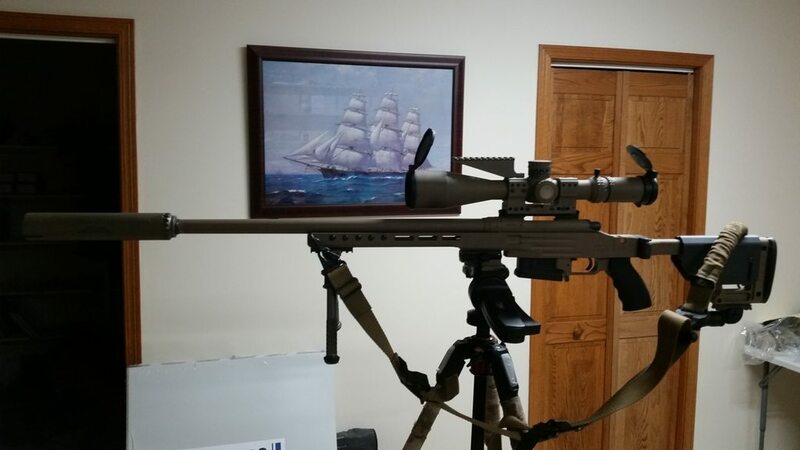 But the bipod and monopod would dig holes in the mud and I'd have to keep moving the gun around to get a new NP, which meant starting over with the position for most shots. Life is full of trade-offs. I adjusted the cheek piece and think it is fine. I think the stock still needs to be lengthened one notch.